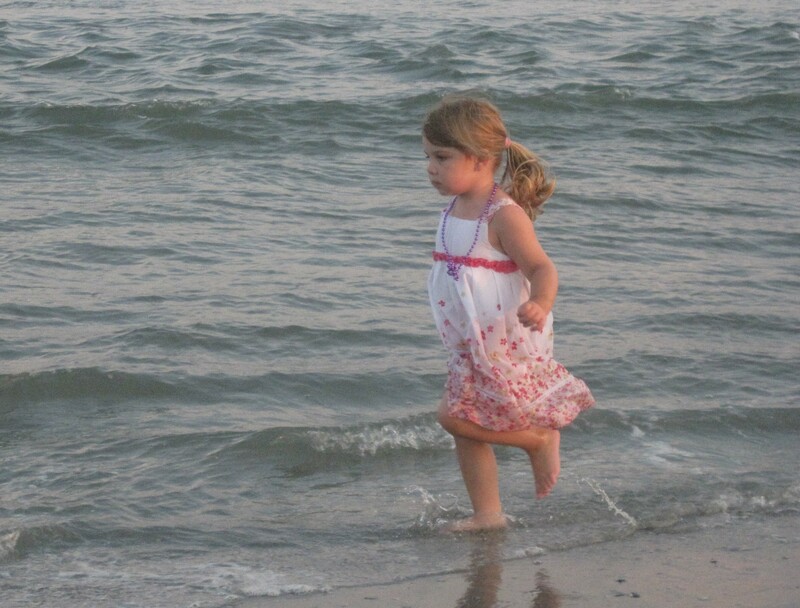 Our daughter at the beach when she was 3. We all have wounds and scars from our childhood. None of us had perfect parents – even those whose parents were strong Christians. All of us, as children, were able to misinterpret situations or words from our parents and end up with a skewed view of God, God’s Word, ourselves or others. And for those who suffered physical, emotional, mental or sexual abuse as children – the scars and wounds are incalculable. We are all greatly impacted by the examples we had in our parents. What they did, how they responded to each other and to us, how they spoke to each other and to us, their temperments, their priorities, their faith, their beliefs, their personalities were powerful forces in molding us to become the adults we are today. In fact, you could say that in many ways, they “programmed us.” So now, whatever they did, how they thought, how they behaved – is what seems “normal” to us. And it will come very naturally and feel comfortable to us. Jesus can heal our wounds, scars, pain and fears that we acquired during our childhood! He is COMPLETELY ABLE! I have Christian parents who deeply love each other – and still do! And my parents deeply loved all 3 of their children. I always knew I was loved. I was never abused or mistreated. My parents took my twin sister and younger brother and me to church twice every Sunday and on Wednesdays. My parents were teachers in the church and my father was almost always involved in being a deacon. I was and am EXTREMELY blessed to have the parents I had. – What were the biggest events in your childhood that greatly impacted your view of yourself, of marriage or of God? – How did your parents interact with each other? – Was there unconditional love for everyone in the home? – Was there unconditional respect for everyone in the home? – Were there healthy boundaries in your home or were people controlling? – What are the deepest scars and wounds of your childhood? – In what ways were you “programmed” by your experiences to incorrectly view God, yourself and/or marriage? I pray that You might open our eyes to see the events and thoughts that have warped or skewed our understanding of You, ourselves and marriage. Expose any lies that we have believed. Let us embrace Your truth alone. Heal our hearts. Help us to learn the truth about You, about ourselves and about Your beautiful design for marriage.